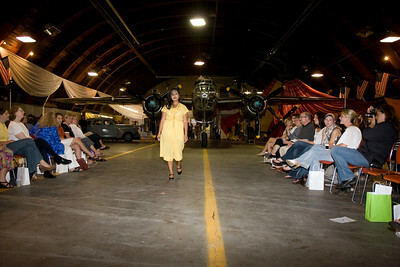 Matt Holland Photography: Partying like it's 1945 at the CAF Vintage Fashion Show! 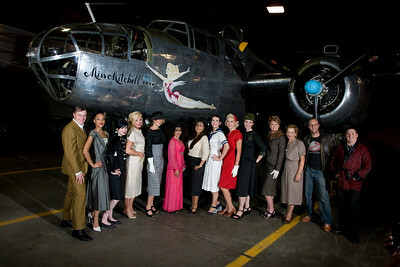 Partying like it's 1945 at the CAF Vintage Fashion Show! 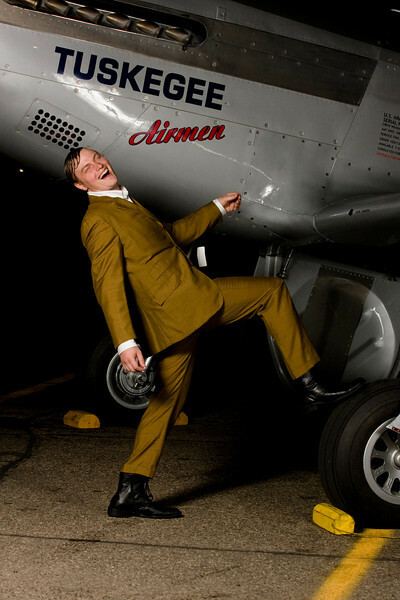 The guys and gals down at the Minnesota Wing of the Commemorative Air Force cleaned up their hangar and made some room to host a great fashion show featuring clothing and accessories from Go Vintage. The B-25 "Miss Mitchell formed a great backdrop for the show, while the Red Tail Mustang made an appearance after the show for some photos of the models and attendees! Be sure to check out the other photos from the show, and check out the CAF's Bomber's Moon Ball, September 19 at the CAF Hangar at the South St. Paul Airport. Music will be provided by the Roseville Big Band, and I'll be there to shoot the event as well! Check out www.cafmn.org for details! To see the full gallery from the event, click here. Here's a nice shot of all the models, along with emcee (and CAF member) Ken Martinson, all posed with "Miss Mitchell"
After the show we setup an impromptu photo booth with the Red Tail P-51C Mustang, which was a huge hit! The rest of the weekend was full with second shooting another wedding with Preston from Brovado, but today we did a shoot with the lovely Heather Pound, so keep an eye out for those shots! Join our mailing list to hear about special offers and coupons! Welcome to the new Matt Holland Photography blog! All new blog coming soon.